It has been a very busy month here at Think Bowtique. Earlier this month we were had our largest delivery of chiffon hair flowers supply so far. 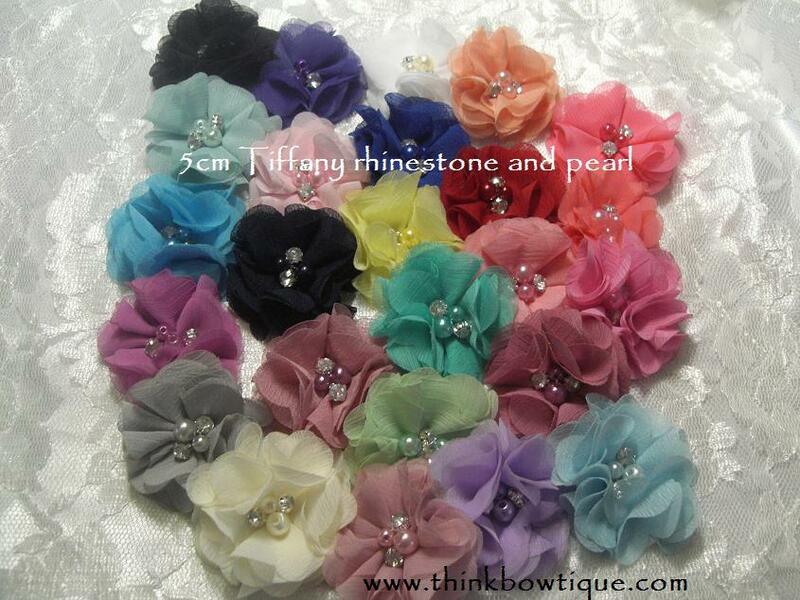 If you are looking for petire and delicate flowers you will love the new 5cm chiffon pearl flower and our 5cm mini Tiffany rhinestone and pearl flower both these flowers come in 25 colours. If your a fan of lace flower than check out these lace parisian rhinestone and pear flowers. 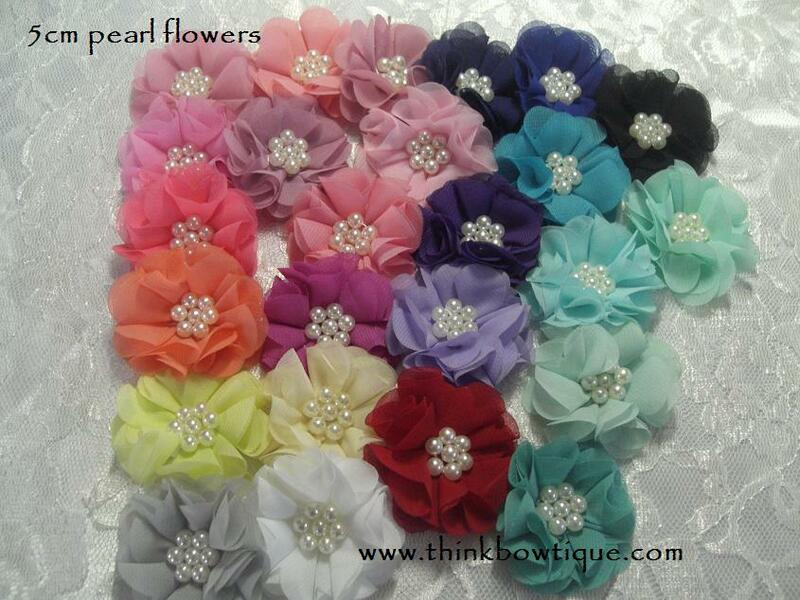 We also received a new shippment of chiffon parisian rhinestone and pearl flowers in 12 colours. A favourite is our chiffon ballerina flower bling up the centre to create your own unique flower. With 27 colours to pick from we should have a shade for you. 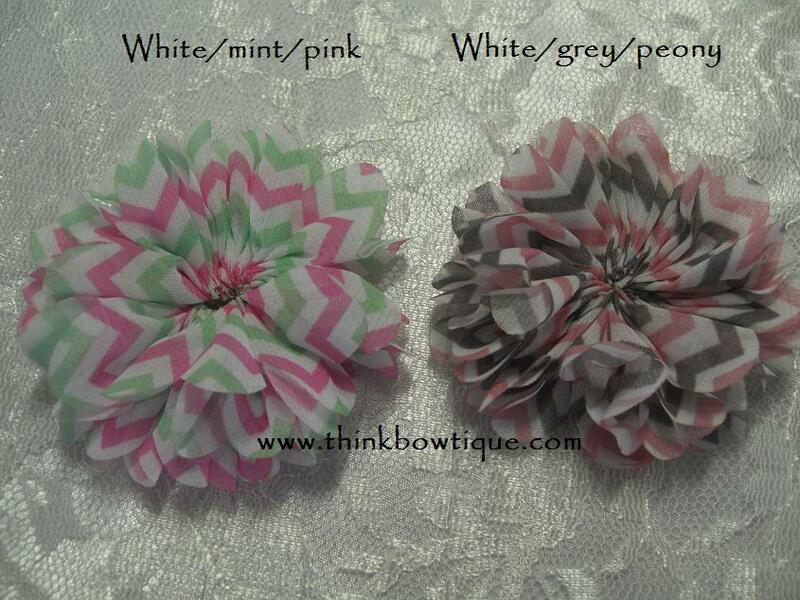 Chevron is a big hit and we now have 2 new prints the white mint and pink is my favourite. 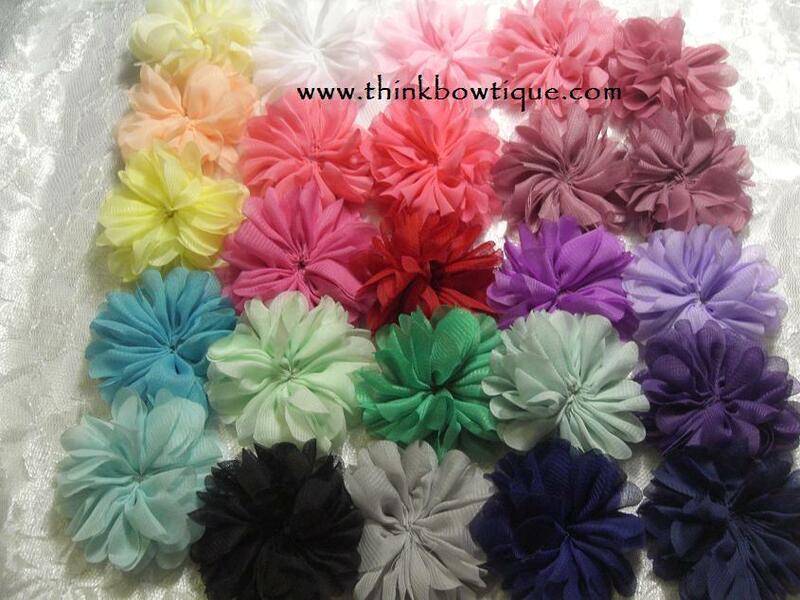 You will find all these beautiful chiffon flowers for your hair flower supplies at Think Bowtique. 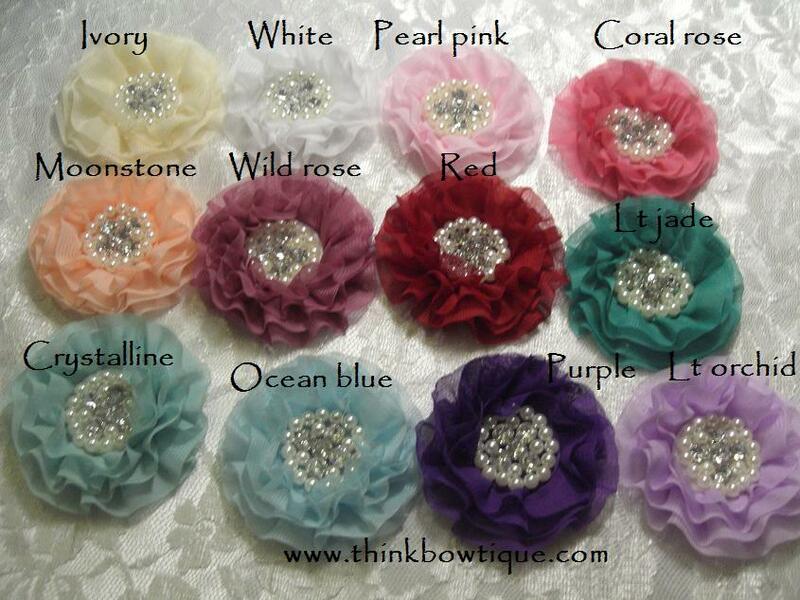 Mix and match with our huge range of headband elastic’s and rhinestone embellishments.